Animals, especially dogs and horses, are increasingly used in therapy. The encounter with animals can be stabilising, calming, and it can increase well-being and self-esteem. Meeting a wolf and experiencing their presence, even when feeling very anxious or depressed, can be an uplifting experience. Werner Kierski’s clients can be introduced to meeting wolves to enrich your therapeutic experience. Before you decide to visit the wolves we will spend some time discussing this possibility and we will decide what the best format is for such a visit; whether you will just be with the wolf-keepers who look after the wolves or whether Werner will accompany you. 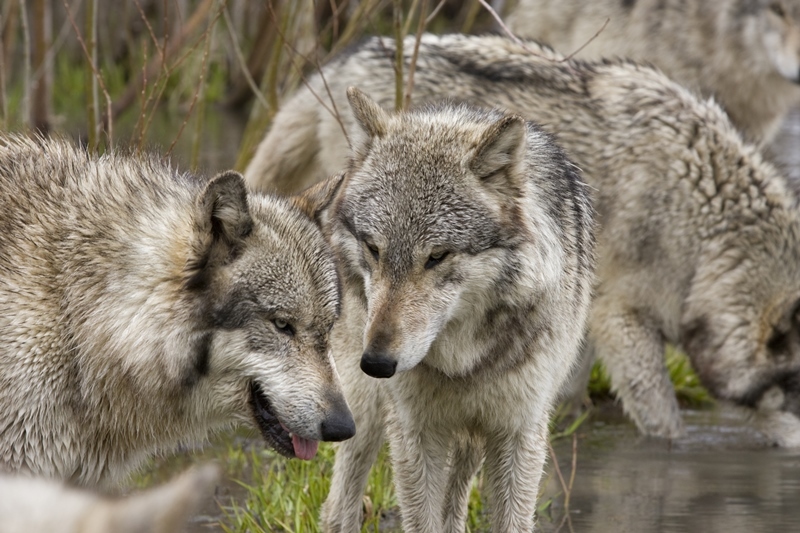 The encounter takes place at sanctuaries where wolves are being kept. The wolves who live there are socialised to people. The places where you can meet a wolf are in easy reach from London. You will be completely safe with these wolves. Note: Costs for wolf visits are not covered by the fees for therapy sessions and are charged in addition.